Defendant also facing animal cruelty and drug charges in separate cases. Mineola, NY - May 8, 2014 - Nassau County District Attorney Kathleen Rice announced the sentencing yesterday of an Oyster Bay woman for failing to provide proper veterinary care for a severe injury suffered by her dog, a pit-bull mix named “Snowball,” that was left untreated for weeks and led to the amputation of one of the dog’s legs. Shawanna Hughes, 37, was sentenced yesterday by Nassau County District Court Judge Rhonda Fischer to 30 days in jail and three years probation, along with an order precluding her from owning animals for five years and an agreement to abide by spot checks by law enforcement. Hughes was also ordered to pay $200 in fines. Hughes was also sentenced by Nassau County District Court Judge Valerie Alexander yesterday to nine months in jail for violating probation in an unrelated Operating a Motor Vehicle While Under the Influence of Drugs case. Sentencing in both cases will run concurrent to each other. Hughes pleaded guilty in March to one count of Failure to Provide Proper Sustenance, an animal cruelty charge under New York State’s Agriculture and Markets Law. She was arrested in March 2013 for failing to provide veterinary care in October 2012 through December of 2012 for a broken leg that had gone untreated and healed incorrectly, causing permanent disfigurement to the animal. The dog’s leg needed to be amputated due to the incorrect healing and pain to the dog. Snowball was adopted by private citizens. After a few surgeries, the dog is in good condition. Hughes’s husband and co-defendant, Lee Hughes, 39, also pleaded guilty on Feb. 26 to one count of Failure to Provide Proper Sustenance for failing to provide veterinary care for Snowball. Lee Hughes is due back in court on June 5. 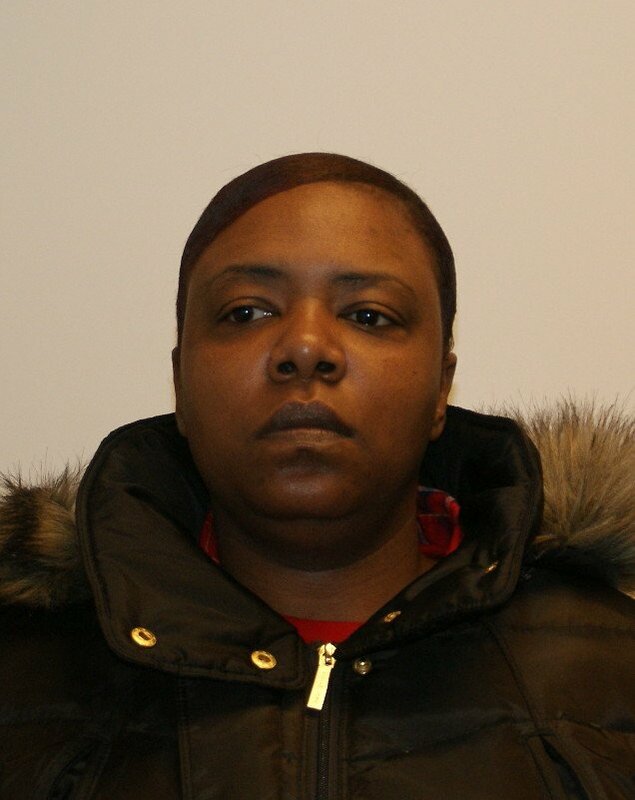 Shawanna Hughes has also been charged with two counts of Criminal Possession of a Controlled Substance in the 3rd Degree (a B felony) and two counts of Criminal Sale of a Controlled Substance in the 3rd Degree (a B felony) for the possession and sale of crack cocaine in Oyster Bay in January 2014. Hughes is due back in court on May 28 in that case. In an another unrelated case, Shawanna and Lee Hughes, along with veterinary assistant Reginald Smith, were arraigned in February 2014 on animal cruelty charges stemming from a separate investigation led by the New York State Attorney General’s Office for the improper amputation of the leg and ears of a pit bull puppy. The puppy in that case, “Miss Harper,” was put up for adoption after receiving care by veterinarians. Assistant District Attorney Alexander Lev of DA Rice’s Animal Crimes Unit is prosecuting the case involving Snowball. Assistant District Attorney Teresa Aiello of DA Rice’s Street Narcotics and Gangs Bureau is prosecuting the drug case. Shawanna Hughes is represented by Lori Golombeck, Esq. Lee Hughes is represented by Elliot Bloom, Esq. Subject: LongIsland.com - Your Name sent you Article details of "Oyster Bay Woman Sentenced to Jail for Animal Neglect Leading to Leg Amputation"